5 ESTRELLAS "Plaza el Bosque Hotel Ebro delivers a warmth service, counting with the right infrastructure to attend you; meanwhile you are traveling, either for bu..."
Featuring an indoor pool and spa facilities, Plaza El Bosque Ebro offers plush, meal preparation capable rooms with stylish decor in Las Condes. Free parking and Wi-Fi are provided. La Moneda palace is 15 minutes drive away. Adorned in sober decor, rooms at El Bosque Ebro are furnished with wood work desks and minibars. Some of them feature seating areas with soft armchairs and square-patterned carpets. All of them have cable TV. Spa facilities include a sauna and a hot tub, and massage sessions can be requested. A billiards table is available in the game room, and there is also a gallery exhibiting contemporary art. 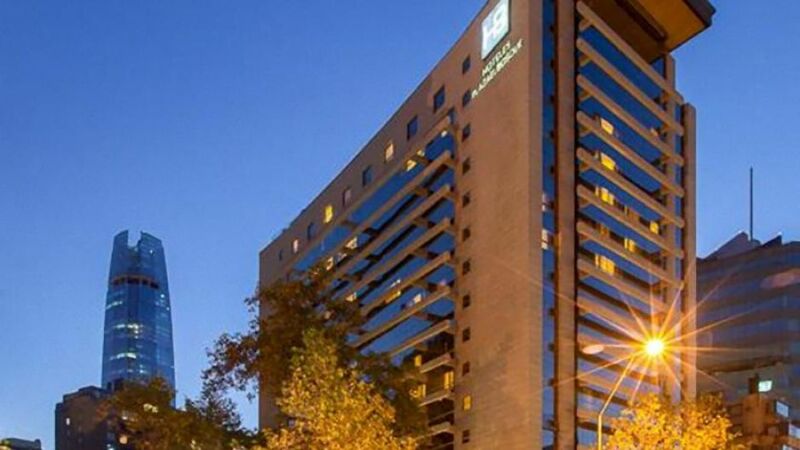 The 24-hour front desk can make arrangements for shuttles to Comodoro Merino Benitez Airport, which is 14 miles away. Plaza El Bosque Ebro is located right by El Bosque Norte avenue, popular for its upscale restaurants and shopping.